CATHERINE: We just got our first winter snow here in Indiana. The skies are pewter palettes that would make a black and white photographer swoon. The air is heavy with anticipation of the coming transformation that will cover brown and wrinkled plants, old and weary of struggling for a last breath against frost. Some folks decry the onset of icy days and chilling nights, but my birthday is in December and I’ve always loved this time of year. Not just for the holidays, the decorations (though I go overboard every year) or the giving and sharing and the majesty of Jesus’s birthday, but for the feeling of magic that permeates the end of autumn and the beginning of winter. The winter solstice is December 21st. It is the beginning of the “Positive” energy period of the year. For six months, the earth is pregnant with new growth, new beginnings that will come to live in the spring. Few people understand this. Too many of us think of the “dark days” of winter as a sad time and some do suffer from Seasonal Affective Disorder (SAD). I’ve been lucky to evade it thus far. As an author (or a creative person) this seemingly “dark” time is quite the opposite. It is the time of gestation of ideas. This is when the creative mind blooms. When I was very young, not in school yet, I used to sit on my low chest of drawers and look out my bedroom window at the snow and I made up winter fairy tales, about the Faeries and Elves who lived beneath the blanket of snow and worked diligently to feed and care for the tulip bulbs in the ground. I made up horrible creatures who kidnapped the little elves and took them away to ice castles at the Arctic. These were the stories I told to my sister who suffered greatly from Asthma and other lung problems. Once I invented sea monsters, my brothers joined in the listening. I always remember Russian fairy tales that our next door neighbor Harriet Hazard told us. She had the best—I mean the best—Christmas cookies. I still make her recipes every Christmas. For centuries, storytellers have created Winter Fairy Tales to entertain. 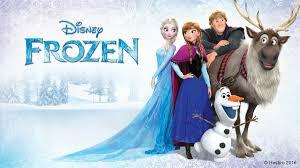 Disney’s mega hit, FROZEN, has captured this new generation in a way that Snow White didn’t come close to hitting. 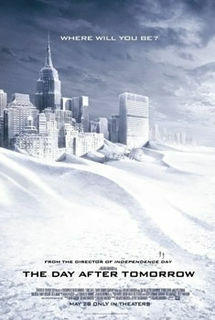 ‘DAY AFTER TOMORROW’ with Dennis Quaid is now my son Ryan’s favorite. The list of Christmas movies goes on forever, but I have, have to say that there’s still no movie like WHITE CHRISTMAS. And the songs! Well, that’s another blog. RULA: Those are great movie picks, Catherine! Before I list a few my family loves, I have to say that your 'frozen' winter decorations are fantastic! I love what you did with your chandelier. I love how you describe winter as Earth's pregnancy and that it's a time for ideas to gestate too. I totally feel the same way about winter. It's full of potential energy, yet there's also a serenity about it that encourages everyone to slow down. It's a chance for all to stop and breathe. Sometimes, that's when the best ideas come to life like sparks flitting above the crackling logs in a fireplace on a snowy night. My son has been performing this month in his school play, Peter and the Starcatcher, and one of the things orphaned Peter (before he gets his name) longs for most is to gaze up at a twinkling, starlit sky. I don't think the night sky ever sparkles quite as dramatically as it does on a crisp, clear winter's night and all those stars...and the fireplace sparks, Christmas tree lights and glistening snow...remind me of Tinkerbell and 'star stuff'. I like to think of falling snow as 'star stuff', or star dust, sprinkling down on us so that our imagination and ideas flow like they did when we were kids. That makes winter a precious time for writers. But when I'm not writing, I love watching movies with my kids and we love all of the ones Catherine mentioned. FROZEN was and is a big hit in our house and I can't resist watching DAY AFTER TOMORROW. Both Dennis Quaid and Jake Gyllenhaal are awesome in it. 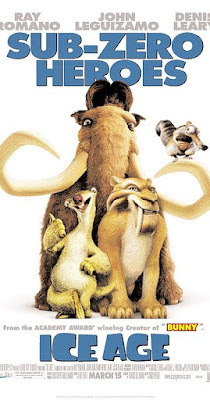 I'll add ICE AGE (and its sequels) to the list. That has to be one of our favorites. When my youngest was even younger, he also loved the SANTA BUDDIES movie. Gotta love cute golden retriever pups at Christmas! And of course, we always watch A CHARLIE BROWN CHRISTMAS, RUDOLF THE RED-NOSED REINDEER and FROSTY THE SNOWMAN. But although there's a bit of romance going on with Rudolf, I'd have to say one of my favorite romantic winter/holiday set movies is WHILE YOU WERE SLEEPING. 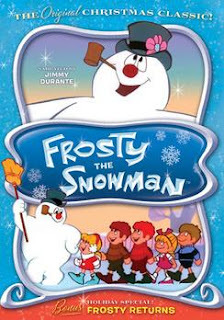 What are your favorite 'wintery' movies? I know there are more great ones that we're not thinking of! Merry Christmas and a Happy Hanukkah, Kwanzaa and Winter Solstice to all our beloved readers, Heartwarming Sisters, fantabulous Editors and our entire Harlequin Family! I was bemoaning the fact that it's darn cold and snowy out there (we just walked our dogs) as I logged on to my computer to read this today's post. Thank you for reminding me of the beauty of winter! Catherine's decorations are spectacular. I was fortunate to have a sneak peek over the weekend...and if you like her decorations, you should see treats she was baking! Rula, I bet your son is fantastic in Peter and the Starcatcher, and you must be a deservedly proud mom. As for movies, I love watching White Christmas each holiday season. White Christmas is a classic for a reason :)! And yes, proud mama here ;). Thanks! I save White Christmas for Christmas Eve. I cry every year at the end. I'm such a weeper. I am in complete awe of your Christmas decor, Catherine, especially that wonderful chandelier and you've inspired me to take stock of my 'tired' decorations. Time for a change! You and Rula have very nicely captured some of the nostalgic aspects of the holiday season- the concerts and plays, wintry scenes and home baking. You've reminded me of my own family movie viewing every Christmas Eve as we all watched A Christmas Carol - the old black and white version starring Alastair Sim! That tradition carried on a bit with my own children, though they preferred The Grinch! Other great old movies were Miracle on 34th Street and It's a Wonderful Life. Their messages were timeless. Hi Janice! Catherine always has incredible decor. The Grinch, A Christmas Carol, Miracle on 34th street and, absolutely, It's a Wonderful Life! How did we not include those? All fantastic winter movies that we watch every year. Thanks for the reminder! Hi, Janice! Thank you for the compliment. I don't know what came over me, but I just wanted everything to be different this year. I did a lot of aqua in the summer for my dinner parties and I'm still in my "aqua" phase. And I agree with you about It's a Wonderful Life. I have to watch it every year. Catherine, your decorations are lovely and I wish I had been there to hear about the Faeries and Elves. Now if only we had a white Christmas (I think I'm still a little too south for that to happen). Wishing everyone a safe and happy holiday! I love the Hallmark Channel! While I'm wrapping, baking and addressing cards! I love Hallmark Channel movies too! One of my favorite Christmas ones is One Starry Christmas. So many that I love though! Catherine, your decorations make me envious. And both of you are so busy over this season I don't know when you find time to write. I've been watching the Hallmark movies far too much. I should be reading everyone's wonderful books. As for your snow---Brrr! I have to say, that while I'm decorating, I get some of my best ideas. So, in a way, I'm writing. How's that for rationalization??? I have no, no idea how Rula does it all!! Roz, I could watch Hallmark movies all day if I let myself. They're like a snuggly comforter. I don't mind wintertime, I just don't like that it gets dark early. As long as I can stay bundled up I'm good. I love watching the movie The Holiday during wintertime. It's not a Christmas movie but the setting is of folks "on holiday" as they say in England, which basically means on vacation. It's Christmas time but it's a romance movie. I actually love that movie any time of year, but since there are lovely snowy scenes in it, watching in winter is my favorite time. I just watched The Holiday. Love that movie. And I don't like the dark afternoons at all!! I'm with you on that one! How did I forget that one? I LOVE 'The Holiday'! I want to live in that English cottage. I just watched it a few days ago (on TV) for the umpteenth time. And that reminds me...I love 'Love Actually' too! Ah, yes, the getting dark early. And when it's rainy like today, it seems to get darker even earlier because of the cloud cover. I just came in from the pouring rain and dark skies because I had to round up a flock of very wet chickens to lock up safely for the night. That's one of my go to movies I watch all year. Makes me smile!! Thanks for stopping by!! That's one I can't miss watching! Yes! Yes! Love all those movies - and have all kinds of new favorites on Hallmark. It never gets old. Love the notion that the earth is pregnant! And isn't that true? All that wonderful spring stuff incubating right now! I put on my infinity scarf and gloves and hat this morning and set off with Claire on a frosty walk. Fortunately, the sidewalk was dry, but the street looked dangerous so we just kept circling. Beautiful day! Love your decorations, Catherine, and Rula - I love that you have a budding thespian! We can say we knew his mother before he was famous. Great day, everybody! Thanks, Muriel. You be careful on those walks!!! We had sleet this morning, Muriel, then it turned to pouring rain. Do be careful not to slip! Lol about my kid :). I have to say that theater in high school is just such a superb for building confidence, public speaking skills and focus. And the talent always astounds me. No snow here yet in my PacNW neighborhood, but they say it's coming. Besides keeping up with all the Hallmark Christmas movies, there's an oldie I enjoy every year, Christmas in Connecticut, starring Barbara Stanwyck and Dennis Morgan. Hi, Linda! I'm watching that movie right now in the mornings when I hit the treadmill! Oh, my mom has always loved her so I grew up watching Big Valley. Great post, Ladies! Thank you for reminding me of a few of these holiday movies, especially While You Were Sleeping! Haven't seen that one in a while. I love comedies. My favorites are Christmas Vacation, Elf, and The Ref. I love those comedies as well!! Aw, Elf is so cute!! Chiming in with thanks for all the movies! And thanks for reminding me that winter doesn't have to be so bad. ;-) I'll just start thinking of it as the time of when: the earth is pregnant with new growth, new beginnings that will come to live in the spring. And on December 21, the days start getting longer!! This is very true! If you notice by January 21 there is a real difference in the light. That's when I start itching for spring and force bulbs in the house. Just to be the odd one here, lol, I have to mention that my chickens can tell the days are getting longer even before I can. I swear, just as soon as the solstice happens, they start laying more eggs! Love the frozen blue decorations. Winter sometimes looks like an Ansel Adams photo, all about shape and form, and your arrangements capture that. 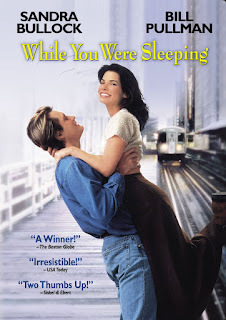 While you were Sleeping is a favorite of mine, too. You are so right. That snow shot I took was a color photo, but it looks like black and white. Oooh, Beth, I love Ansel Adams. Great observation! Catherine and Rula, I am suffering from a shortage of words and your use of "pewter palate" and "winter pregnancy...gestating" is just what I needed to spark my sleeping muse. Catherine--I love your decor and the ability to hand make a table centerpiece. I broke a store bought one that I loved and am missing one. Catherine is creative all around...with words and decor! Sophia! What a lovely compliment! Thank you. Now that I've done all this, I need to take a "long winter's nap!" My ALL TIME favorite movie is While You Were Sleeping. Hmm...I think I know what I'll be watching tonight! Happy Holidays! I don't think there's a Sandra Bullock movie that I don't love :). It's a cold, rainy night here...perfect for hot chocolate and a movie! Tara, I'm with Rula. I love all of Sandra Bullock 's films. I just watched Blind Side the other day. Oh, yes, the 1971 one with Alistair Simm! Wonderful. That reminds me that last year, my kid's drama group did A Christmas Carol as their theater production. So great. Thanks for adding to the list, Tracy! I remember this animated one! Good memory, Tracy! I love Christmas movies. Now, to find time to watch some. Oops, I'm a little late here. Great blog and great movie choices! Merry Christmas, ladies! Thanks, Liz! I watched Family Man last night. I forgot how much I loved it!